Dr Emmanuel Pothos studied physics at Imperial College, during which time he obtained the Stanley Raimes Memorial Prize in mathematics, and continued with a doctorate in experimental psychology at the University of Oxford. 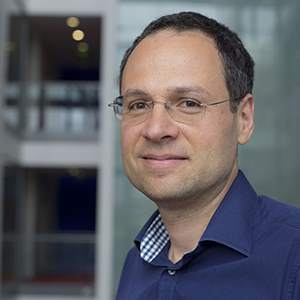 He has worked with a range of computational frameworks for cognitive modelling, including ones based on information theory, flexible representation spaces, Bayesian methods and, more recently, quantum theory. He has authored approximately 60 journal articles on related topics, as well as on applications of cognitive methods to health and clinical psychology. de Barros, J.A., Pothos, E. and Coecke, B. (2017). Preface. ISBN 978-3-319-52288-3. Atmanspacher, H., Filk, T. and Pothos, E. (2016). Preface. ISBN 978-3-319-28674-7. White, L.C., Pothos, E.M. and Busemeyer, J.R. (2017). A quantum probability model for the constructive influence of affective evaluation. The Palgrave Handbook of Quantum Models in Social Science: Applications and Grand Challenges (pp. 267–291). ISBN 978-1-137-49275-3. Trueblood, J.S., Mistry, P.K. and Pothos, E.M. (2015). A quantum bayes net approach to causal reasoning. Contextuality from Quantum Physics to Psychology (pp. 449–464). ISBN 978-981-4730-60-0. Duran, A.B., Pothos, E.M., Yearsley, J.M., Hampton, J.A., Busemeyer, J.R. and Trueblood, J.S. (2015). Similarity judgments: From classical to complex vector psychological spaces. Contextuality from Quantum Physics to Psychology (pp. 415–448). ISBN 978-981-4730-60-0. Atmanspacher, H., Filk, T. and Pothos, E. (2016). Quantum interaction: 9th international conference, QI 2015 Filzbach, Switzerland, july 15–17, 2015 revised selected papers. Yearsley, J.M., Pothos, E.M., Hampton, J.A. and Duran, A.B. (2015). Towards a quantum probability theory of similarity judgments. Brunstrom, J., Rogers, P., Pothos, E., Tapper, K. and Caltri, R. (2008). Estimating Everyday Portion Size Using a 'Method of Constant Stimuli'. Wilcockson, T.D.W., Pothos, E.M. and Parrott, A.C. (2019). Substance usage intention does not affect attentional bias: implications from Ecstasy/MDMA users and alcohol drinkers. Addictive Behaviors, 88, pp. 175–181. doi:10.1016/j.addbeh.2018.09.001 . Khrennikov, A., Basieva, I., Pothos, E.M. and Yamato, I. (2018). Quantum probability in decision making from quantum information representation of neuronal states. Scientific Reports, 8(1). doi:10.1038/s41598-018-34531-3 . Mistry, P.K., Pothos, E., Vandekerckhove, J. and Trueblood, J.S. (2018). A quantum probability account of individual differences in causal reasoning. Journal of Mathematical Psychology, 87, pp. 76–97. doi:10.1016/j.jmp.2018.09.003 . Wojciechowski, B.W. and Pothos, E.M. (2018). Corrigendum: Is there a conjunction fallacy in legal probabilistic decision making? [Front. Psychol. 9, 391 (2018)] doi: 10.3389/fpsyg.2018.00391. Frontiers in Psychology, 9(NOV). doi:10.3389/fpsyg.2018.02281 . Basieva, I., Khrennikova, P., Pothos, E.M., Asano, M. and Khrennikov, A. (2018). Quantum-like model of subjective expected utility. Journal of Mathematical Economics, 78, pp. 150–162. doi:10.1016/j.jmateco.2018.02.001 . Khrennikov, A., Bagarello, F., Basieva, I. and Pothos, E. (2018). Quantum like modelling of decision making: quantifying uncertainty with the aid of the Heisenberg-Robertson inequality. Journal of Mathematical Psychology, 84, pp. 49–56. doi:10.1016/j.jmp.2018.03.004 . Asano, M., Basieva, I., Pothos, E.M. and Khrennikov, A. (2018). State entropy and differentiation phenomenon. Entropy, 20(6). doi:10.3390/e20060394 . Laasonen, M., Smolander, S., Lahti-Nuuttila, P., Leminen, M., Lajunen, H.R., Heinonen, K. … Arkkila, E. (2018). Understanding developmental language disorder -The Helsinki longitudinal SLI study (HelSLI): A study protocol. BMC Psychology, 6(1). doi:10.1186/s40359-018-0222-7 . Wojciechowski, B.W. and Pothos, E.M. (2018). Is there a conjunction fallacy in legal probabilistic decision making? Frontiers in Psychology, 9(APR). doi:10.3389/fpsyg.2018.00391 . Lea, S.E.G., Pothos, E.M., Wills, A.J., Leaver, L.A., Ryan, C.M.E. and Meier, C. (2018). Multiple feature use in pigeons' category discrimination: The influence of stimulus set structure and the salience of stimulus differences. Journal of Experimental Psychology: Animal Learning and Cognition, 44(2), pp. 114–127. doi:10.1037/xan0000169 . Broekaert, J., Basieva, I., Blasiak, P. and Pothos, E.M. (2017). Quantum-like dynamics applied to cognition: A consideration of available options. Philosophical Transactions of the Royal Society A: Mathematical, Physical and Engineering Sciences, 375(2106). doi:10.1098/rsta.2016.0387 . Hoffman, Y., Perlman, A., Orr-Urtreger, B., Tzelgov, J., Pothos, E.M. and Edwards, D.J. (2017). Unitization of route knowledge. Psychological Research, 81(6), pp. 1241–1254. doi:10.1007/s00426-016-0811-0 . Yearsley, J.M., Barque-Duran, A., Scerrati, E., Hampton, J.A. and Pothos, E.M. (2017). The triangle inequality constraint in similarity judgments. Progress in Biophysics and Molecular Biology, 130, pp. 26–32. doi:10.1016/j.pbiomolbio.2017.03.005 . Barque-Duran, A., Pothos, E.M., Hampton, J.A. and Yearsley, J.M. (2017). Contemporary morality: Moral judgments in digital contexts. Computers in Human Behavior, 75, pp. 184–193. doi:10.1016/j.chb.2017.05.020 . Trueblood, J.S., Yearsley, J.M. and Pothos, E.M. (2017). A quantum probability framework for human probabilistic inference. Journal of Experimental Psychology: General, 146(9), pp. 1307–1341. doi:10.1037/xge0000326 . Pothos, E., Yearsley, J., Shiffrin, R. and Busemeyer, J. (2017). The rational status of quantum cognition. Journal of Experimental Psychology: General, 146(7), pp. 968–987. doi:10.1037/xge0000312 . Basieva, I., Pothos, E., Trueblood, J., Khrennikov, A. and Busemeyer, J. (2017). Quantum probability updating from zero priors (by-passing Cromwell's rule). Journal of Mathematical Psychology, 77, pp. 58–69. doi:10.1016/j.jmp.2016.08.005 . Wilcockson, T.D.W. and Pothos, E.M. (2016). The automatic nature of habitual goal-state activation in substance use: implications from a dyslexic population. Journal of Substance Use, 21(3), pp. 244–248. doi:10.3109/14659891.2015.1009506 . Yearsley, J.M. and Pothos, E.M. (2016). Zeno’s paradox in decision-making. Proceedings of the Royal Society B: Biological Sciences, 283(1828). doi:10.1098/rspb.2016.0291 . Wilcockson, T.D.W. and Pothos, E.M. (2016). How cognitive biases can distort environmental statistics: Introducing the rough estimation task. Behavioural Pharmacology, 27(2-3), pp. 165–172. doi:10.1097/FBP.0000000000000214 . Perlman, A., Hoffman, Y., Tzelgov, J., Pothos, E. and Edwards, D. (2016). The notion of contextual locking: inaccessibility to previously learnt items when appearing in a different context. Quarterly Journal of Experimental Psychology. doi:10.1080/17470218.2015.1054846 . White, L.C., Barqué-Duran, A. and Pothos, E.M. (2016). An investigation of a quantum probability model for the constructive effect of affective evaluation. Philosophical Transactions of the Royal Society A: Mathematical, Physical and Engineering Sciences, 374(2058). doi:10.1098/rsta.2015.0142 . Wilcockson, T.D.W., Pothos, E.M. and Fawcett, A.J. (2016). Dyslexia and substance use in a University Undergraduate Population. Substance Use and Misuse, 51(1), pp. 15–22. doi:10.3109/10826084.2015.1073322 . Barque-Duran, A., Pothos, E.M., Yearsley, J.M. and Hampton, J.A. (2016). Patterns and evolution of moral behaviour: moral dynamics in everyday life. Thinking and Reasoning, 22(1), pp. 31–56. doi:10.1080/13546783.2015.1051585 . Miles Cox, W., Fadardi, J.S., Hosier, S.G. and Pothos, E.M. (2015). Differential effects and temporal course of attentional and motivational training on excessive drinking. Experimental and Clinical Psychopharmacology, 23(6), pp. 445–454. doi:10.1037/pha0000038 . Perlman, A., Hoffman, Y., Tzelgov, J., Pothos, E.M. and Edwards, D.J. (2015). The notion of contextual locking: Previously learnt items are not accessible as such when appearing in a less common context. Quarterly Journal of Experimental Psychology, 69(3), pp. 410–431. doi:10.1080/17470218.2015.1054846 . Wilcockson, T.D.W. and Pothos, E.M. (2015). Measuring inhibitory processes for alcohol-related attentional biases: introducing a novel attentional bias measure. Addictive behaviors, 44, pp. 88–93. doi:10.1016/j.addbeh.2014.12.015 . White, L.C., Pothos, E. and Busemeyer, J.R. (2015). Insights from quantum cognitive models for organizational decision making. Journal of Applied Research in Memory and Cognition, 4(3), pp. 229–238. doi:10.1016/j.jarmac.2014.11.002 . Busemeyer, J.R., Wang, Z., Pothos, E.M. and Trueblood, J.S. (2015). The conjunction fallacy, confirmation, and quantum theory: Comment on Tentori, Crupi, and Russo (2013). Journal of Experimental Psychology: General, 144(1), pp. 236–243. doi:10.1037/xge0000035 . Pothos, E.M., Barque-Duran, A., Yearsley, J.M., Trueblood, J.S., Busemeyer, J.R. and Hampton, J.A. (2015). Progress and current challenges with the quantum similarity model. Frontiers in Psychology, 6(FEB). doi:10.3389/fpsyg.2015.00205 . Yearsley, J.M. and Pothos, E.M. (2015). Towards an empirical test of realism in cognition. Lecture Notes in Computer Science (including subseries Lecture Notes in Artificial Intelligence and Lecture Notes in Bioinformatics), 8951, pp. 271–282. doi:10.1007/978-3-319-15931-7_21 . Laasonen, M., Väre, J., Oksanen-Hennah, H., Leppämäki, S., Tani, P., Harno, H. … Cleeremans, A. (2014). Project DyAdd: implicit learning in adult dyslexia and ADHD. Ann Dyslexia, 64(1), pp. 1–33. doi:10.1007/s11881-013-0083-y . Pothos, E.M. and Busemeyer, J.R. (2014). In search for a standard of rationality. Frontiers in Psychology, 5(JAN). doi:10.3389/fpsyg.2014.00049 . Pothos, E.M., Shiffrin, R.M. and Busemeyer, J.R. (2014). The dynamics of decision making when probabilities are vaguely specified. Journal of Mathematical Psychology, 59, pp. 6–17. doi:10.1016/j.jmp.2013.09.001 . Yearsley, J.M. and Pothos, E.M. (2014). Challenging the classical notion of time in cognition: a quantum perspective. Proceedings. Biological sciences / The Royal Society, 281(1781), p. 20133056. doi:10.1098/rspb.2013.3056 . Pothos, E.M. and Reppa, I. (2014). The fickle nature of similarity change as a result of categorization. Quarterly Journal of Experimental Psychology, 67(12), pp. 2425–2438. doi:10.1080/17470218.2014.931977 . Trueblood, J.S., Pothos, E.M. and Busemeyer, J.R. (2014). Quantum probability theory as a common framework for reasoning and similarity. Frontiers in Psychology, 5(APR). doi:10.3389/fpsyg.2014.00322 . White, L.C., Pothos, E.M. and Busemeyer, J.R. (2014). Sometimes it does hurt to ask: The constructive role of articulating impressions. Cognition, 133(1), pp. 48–64. doi:10.1016/j.cognition.2014.05.015 . Ziori, E., Pothos, E.M. and Dienes, Z. (2014). Role of prior knowledge in implicit and explicit learning of artificial grammars. Consciousness and Cognition, 28(1), pp. 1–16. doi:10.1016/j.concog.2014.06.003 . Pothos, E.M. and Trueblood, J.S. (2014). Structured representations in a quantum probability model of similarity. Journal of Mathematical Psychology, 64(C), pp. 35–43. doi:10.1016/j.jmp.2014.12.001 . Blutner, R., Pothos, E.M. and Bruza, P. (2013). A quantum probability perspective on borderline vagueness. Topics in Cognitive Science, 5(4), pp. 711–736. doi:10.1111/tops.12041 . Pothos, E., Busemeyer, J.R. and Trueblood, J.S. (2013). A quantum geometric model of similarity. Pyschological Review. Pothos, E.M. and Busemeyer, J.R. (2013). Quantum principles in psychology: The debate, the evidence, and the future. Behavioral and Brain Sciences, 36(3), pp. 310–327. doi:10.1017/S0140525X12003226 . Pothos, E.M. and Busemeyer, J.R. (2013). Can quantum probability provide a new direction for cognitive modeling? Behavioral and Brain Sciences, 36(3), pp. 255–274. doi:10.1017/S0140525X12001525 . Pinhas, M., Pothos, E. and Tzelgov, J. (2013). Zooming in and out from the mental number line: Evidence for a number range effect. Journal of Experimental Psychology: Learning, Memory, and Cognition, 39(3), pp. 972–976. doi:10.1037/a0029527 . Wang, Z., Busemeyer, J.R., Atmanspacher, H. and Pothos, E.M. (2013). The Potential of Using Quantum Theory to Build Models of Cognition. Topics in Cognitive Science. Edwards, D.J., Pothos, E.M. and Perlman, A. (2012). Relational versus absolute representation in categorization. American Journal of Psychology, 125(4), pp. 481–497. doi:10.5406/amerjpsyc.125.4.0481 . Wills, A.J. and Pothos, E.M. (2012). On the adequacy of Bayesian evaluations of categorization models: Reply to Vanpaemel and Lee (2012). Psychological Bulletin, 138(6), pp. 1259–1261. doi:10.1037/a0028892 . Close, J. and Pothos, E.M. (2012). "Object Categorization: Reversals and Explanations of the Basic-Level Advantage" (Rogers & Patterson, 2007): A simplicity account. Quarterly Journal of Experimental Psychology, 65(8), pp. 1615–1632. doi:10.1080/17470218.2012.660963 . Perlman, A., Hahn, U., Edwards, D.J. and Pothos, E.M. (2012). Further attempts to clarify the importance of category variability for categorisation. Journal of Cognitive Psychology, 24(2), pp. 203–220. doi:10.1080/20445911.2011.613818 . Busemeyer, J.R. and Pothos, E.M. (2012). Social Projection and a Quantum Approach for Behavior in Prisoner's Dilemma. Psychological Inquiry, 23(1), pp. 28–34. doi:10.1080/1047840X.2012.652488 . Wills, A.J. and Pothos, E.M. (2012). On the adequacy of current empirical evaluations of formal models of categorization. Psychological bulletin, 138(1), pp. 102–125. Pothos, E.M. and Busemeyer, J.R. (2011). Formalizing heuristics in decision-making: A quantum probability perspective. Frontiers in Psychology, 2(NOV). doi:10.3389/fpsyg.2011.00289 . Pothos, E.M. and Busemeyer, J.R. (2011). A case for limited prescriptive normativism. Behavioral and Brain Sciences, 34(5), pp. 264–265. doi:10.1017/S0140525X1100015X . Milton, F. and Pothos, E.M. (2011). Category structure and the two learning systems of COVIS. European Journal of Neuroscience, 34(8), pp. 1326–1336. doi:10.1111/j.1460-9568.2011.07847.x . Pothos, E.M., Edwards, D.J. and Perlman, A. (2011). Supervised versus unsupervised categorization: Two sides of the same coin? Quarterly Journal of Experimental Psychology, 64(9), pp. 1692–1713. doi:10.1080/17470218.2011.554990 . Pothos, E.M., Perry, G., Corr, P.J., Matthew, M.R. and Busemeyer, J.R. (2011). Understanding cooperation in the Prisoner's Dilemma game. Personality and Individual Differences, 51(3), pp. 210–215. doi:10.1016/j.paid.2010.05.002 . Busemeyer, J.R., Pothos, E.M., Franco, R. and Trueblood, J.S. (2011). A Quantum Theoretical Explanation for Probability Judgment Errors. Psychological Review, 118(2), pp. 193–218. Pothos, E.M., Perlman, A., Bailey, T.M., Kurtz, K., Edwards, D.J., Hines, P. … McDonnell, J.V. (2011). Measuring category intuitiveness in unconstrained categorization tasks. Cognition, 121(1), pp. 83–100. Tapper, K., Pothos, E.M. and Lawrence, A.D. (2010). Feast Your Eyes: Hunger and Trait Reward Drive Predict Attentional Bias for Food Cues. Emotion, 10(6), pp. 949–954. doi:10.1037/a0020305 . Pothos, E.M. (2010). An entropy model for artificial grammar learning. Frontiers in Psychology, (JUN). doi:10.3389/fpsyg.2010.00016 . Perlman, A., Pothos, E.M., Edwards, D.J. and Tzelgov, J. (2010). Task-relevant chunking in sequence learning. Journal of Experimental Psychology: Human Perception and Performance, 36(3), pp. 649–661. doi:10.1037/a0017178 . Kosnes, L., Pothos, E.M. and Tapper, K. (2010). Increased affective influence: Situational complexity or deliberation time? American Journal of Psychology, 123(1), pp. 29–38. Pothos, E.M., Hahn, U. and Prat-Sala, M. (2010). Contingent necessity versus logical necessity in categorisation. Thinking and Reasoning, 16(1), pp. 45–65. doi:10.1080/13546780903442383 . Calitri, R., Pothos, E.M., Tapper, K., Brunstrom, J.M. and Rogers, P.J. (2010). Cognitive biases to healthy and unhealthy food words predict change in BMI. Obesity, 18(12), pp. 2282–2287. Pothos, E.M. and Tapper, K. (2010). Inducing a Stroop Effect. Applied Cognitive Psychology, 24(7), pp. 1021–1033. Tapper, K. and Pothos, E.M. (2010). Development and validation of a Food Preoccupation Questionnaire. Eating Behaviors, 11(1), pp. 45–53. doi:10.1016/j.eatbeh.2009.09.003 . Hahn, U., Prat-Sala, M., Pothos, E.M. and Brumby, D.P. (2010). Exemplar similarity and rule application. Cognition, 114(1), pp. 1–18. doi:10.1016/j.cognition.2009.08.011 . Pothos, E.M., Hahn, U. and Prat-Sala, M. (2009). Similarity chains in the transformational paradigm. European Journal of Cognitive Psychology, 21(7), pp. 1100–1120. doi:10.1080/09541440802485339 . Pothos, E.M., Calitri, R., Tapper, K., Brunstrom, J.M. and Rogers, P.J. (2009). Comparing measures of cognitive bias relating to eating behaviour. Applied Cognitive Psychology, 23(7), pp. 936–952. doi:10.1002/acp.1506 . Visser, I., Raijmakers, M.E.J. and Pothos, E.M. (2009). Individual strategies in artificial grammar learning. American Journal of Psychology, 122(3), pp. 293–307. Nikolopoulos, D.S. and Pothos, E.M. (2009). Dyslexic participants show intact spontaneous categorization processes. Dyslexia, 15(3), pp. 167–186. doi:10.1002/dys.375 . Pothos, E.M. and Wood, R.L. (2009). Separate influences in learning: Evidence from artificial grammar learning with traumatic brain injury patients. Brain Research, 1275, pp. 67–72. doi:10.1016/j.brainres.2009.04.019 . Pothos, E.M., Tapper, K. and Calitri, R. (2009). Cognitive and behavioral correlates of BMI among male and female undergraduate students. Appetite, 52(3), pp. 797–800. doi:10.1016/j.appet.2009.03.002 . Pothos, E.M. and Bailey, T.M. (2009). Predicting Category Intuitiveness With the Rational Model, the Simplicity Model, and the Generalized Context Model. Journal of Experimental Psychology: Learning Memory and Cognition, 35(4), pp. 1062–1080. Pothos, E.M. and Busemeyer, J.R. (2009). A quantum probability explanation for violations of 'rational' decision theory. Proceedings of the Royal Society B: Biological Sciences, 276(1665), pp. 2171–2178. Tapper, K., Pothos, E.M., Fadardi, J.S. and Ziori, E. (2008). Restraint, disinhibition and food-related processing bias. Appetite, 51(2), pp. 335–338. doi:10.1016/j.appet.2008.03.006 . Brunstrom, J.M., Rogers, P.J., Pothos, E.M., Calitri, R. and Tapper, K. (2008). Estimating everyday portion size using a 'method of constant stimuli': In a student sample, portion size is predicted by gender, dietary behaviour, and hunger, but not BMI. Appetite, 51(2), pp. 296–301. doi:10.1016/j.appet.2008.03.005 . Pothos, E.M. and Close, J. (2008). One or two dimensions in spontaneous classification: A simplicity approach. Cognition, 107(2), pp. 581–602. doi:10.1016/j.cognition.2007.11.007 . Bailey, T.M. and Pothos, E.M. (2008). AGL StimSelect: Software for automated selection of stimuli for artificial grammar learning. Behavior Research Methods, 40(1), pp. 164–176. doi:10.3758/BRM.40.1.164 . Hatzidaki, A. and Pothos, E.M. (2008). Bilingual language representation and cognitive processes in translation. Applied Psycholinguistics, 29(1), pp. 125–150. doi:10.1017/S0142716408080065 . Pothos, E.M. (2007). Occam and Bayes in predicting category intuitiveness. Artificial Intelligence Review, 28(3), pp. 257–274. doi:10.1007/s10462-009-9102-0 . Hines, P., Pothos, E.M. and Chater, N. (2007). A non-parametric approach to simplicity clustering. Applied Artificial Intelligence, 21(8), pp. 729–752. doi:10.1080/08839510701526541 . Cox, W.M., Pothos, E.M. and Hosier, S.G. (2007). Cognitive-motivational predictors of excessive drinkers' success in changing. Psychopharmacology, 192(4), pp. 499–510. doi:10.1007/s00213-007-0736-9 . Pothos, E.M. and Juola, P. (2007). Characterizing linguistic structure with mutual information. British Journal of Psychology, 98(2), pp. 291–304. doi:10.1348/000712606X122760 . Pothos, E.M. (2007). Theories of artificial grammar learning. Psychological Bulletin, 133(2), pp. 227–244. doi:10.1037/0033-2909.133.2.227 . Pothos, E.M. and Wolff, J.G. (2006). The Simplicity and Power model for inductive inference. Artificial Intelligence Review, 26(3), pp. 211–225. doi:10.1007/s10462-007-9058-x . Cox, W.M., Fadardi, J.S. and Pothos, E.M. (2006). The addiction-stroop test: Theoretical considerations and procedural recommendations. Psychological Bulletin, 132(3), pp. 443–476. doi:10.1037/0033-2909.132.3.443 . Pothos, E.M., Chater, N. and Ziori, E. (2006). Does stimulus appearance affect learning? American Journal of Psychology, 119(2), pp. 275–299. doi:10.2307/20445339 . Pothos, E.M. and Chater, N. (2005). Unsupervised categorization and category learning. Quarterly Journal of Experimental Psychology Section A: Human Experimental Psychology, 58(4), pp. 733–752. doi:10.1080/02724980443000322 . Pothos, E.M. (2005). Preferring Rules to Similarity: Coherence, goals, and commitment. Behavioral and Brain Sciences, 28(1), pp. 37–49. doi:10.1017/S0140525X05470016 . Pothos, E.M. (2005). The rules versus similarity distinction. Behavioral and Brain Sciences, 28(1), pp. 1–14. doi:10.1017/S0140525X05000014 . Pothos, E.M. (2005). Expectations about stimulus structure in implicit learning. Memory and Cognition, 33(1), pp. 171–181. doi:10.3758/BF03195306 . Pothos, E.M., Chater, N. and Stewart, A.J. (2004). Information about the logical structure of a category affects generalization. British Journal of Psychology, 95(3), pp. 371–386. doi:10.1348/0007126041528158 . Pothos, E.M. and Kirk, J. (2004). Investigating learning deficits associated with dyslexia. Dyslexia, 10(1), pp. 61–76. doi:10.1002/dys.266 . Pothos, E.M. and Cox, W.M. (2002). Cognitive bias for alcohol-related information in inferential processes. Drug and Alcohol Dependence, 66(3), pp. 235–241. doi:10.1016/S0376-8716(01)00204-6 . Pothos, E.M. and Chater, N. (2002). A simplicity principle in unsupervised human categorization. Cognitive Science, 26(3), pp. 303–343. doi:10.1016/S0364-0213(02)00064-2 . Pothos, E.M. (2001). Context effects equally applicable in generalization and similarity. Behavioral and Brain Sciences, 24(4), pp. 699–700. doi:10.1017/S0140525X01600086 . Leek, E.C. and Pothos, E.M. (2001). What is specific about category specificity? Fractionating patterns of impairments and the spurious living/nonliving dichotomy. Behavioral and Brain Sciences, 24(3), pp. 487–488. Pothos, E.M. and Juola, P. (2001). Linguistic structure and short term memory. Behavioral and Brain Sciences, 24(1), pp. 138–139. doi:10.1017/S0140525X01463928 . Cox, W.M., Pothos, E.M., Johnsen, B.H. and Laberg, J.C. (2001). Methodological issues attached to the alcohol stroop paradigm: Comments on a paper by Sharma, Albery & Cook (2001). Addiction, 96(9), pp. 1261–1265. doi:10.1046/j.1360-0443.2001.96912615.x . Pothos, E.M. and Hahn, U. (2000). So concepts aren't definitions, but do they have necessary or sufficient features? The British journal of psychology, 91. Pothos, E.M. and Ward, R. (2000). Symmetry, repetition, and figural goodness: An investigation of the Weight of Evidence theory. Cognition, 75(3). doi:10.1016/S0010-0277(00)00070-6 . Pothos, E.M. and Hahn, U. (2000). So concepts aren't definitions, but do they have necessary or sufficient features? British Journal of Psychology, 91(3), pp. 439–450. Pothos, E.M. and Bailey, T.M. (2000). The Role of Similarity in Artificial Grammar Learning. Journal of Experimental Psychology: Learning Memory and Cognition, 26(4), pp. 847–862. doi:10.1037/0278-7393.26.4.847 .